Bio: Scot Chrisman has been skiing since the age of two. At six, he was skiing competitively, and did so for 12 years, until he temporarily hung up his skis, giving up prospects for the US Olympic Ski Team in an attempt to take a break and live a “normal life,” but the mountains kept calling. After two years of coaching ski racing in college, freeride competitions pulled Scot onto the path he’s been skiing along for the past seven years. He’s chased the Freeskiing World Tour around the globe and learned a ton about skiing and the ski community. While traveling, he was filming, meeting great people, and shredding across countless states and international borders. 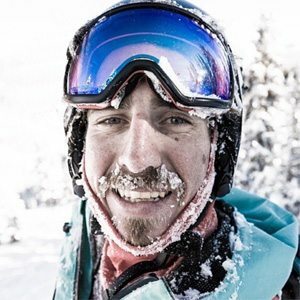 In 2012, when visiting Crested Butte, CO, for a competition, he fell in love with the Valley and now lives nestled there in the mountains, continuing his pursuits of skiing and competing and sharing insights with others through the Academy of Skiing.